Yesterday afternoon we went to a barbecue at Adam’s co-worker’s house and I brought dip. 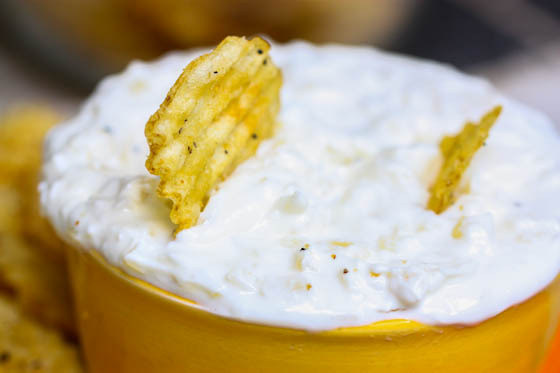 This is a revamp of a popular 90’s favorite—-remember dumping the dry packet of onion dip into a big container of sour cream? Then eating pop rocks and washing the whole thing down with some nice, fresh Tang? I do. I think I wore a slap bracelet while I did it, too. And played with my pogs. I had a pretty sweet slammer back then, not going to lie. The worst move of my life was selling that thing for fifty cents in an old garage sale. What was I thinking?! I love garlic salt. It’s pure magic. 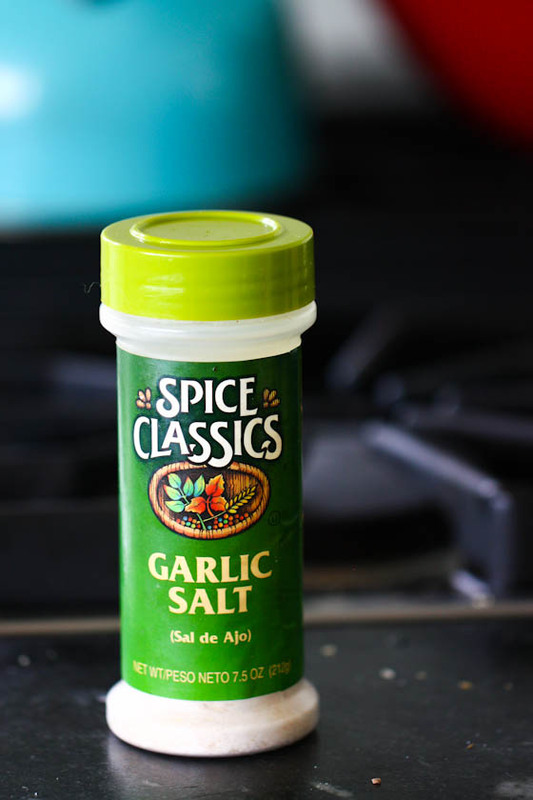 I mean, what DOESN’T garlic salt make better? Nothing. Including this dip. It’s the ingredient that puts it right over the edge, making it reminiscent of pogs and pringles and everything good in this life. 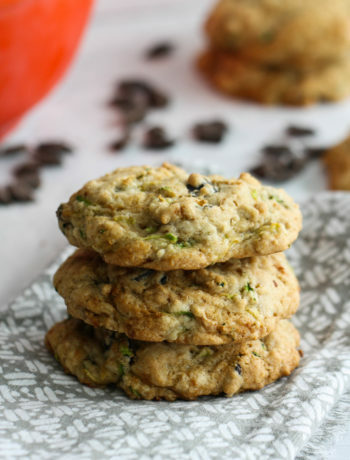 The other special ingredient is Greek yogurt! There are a million different kinds out there, but my favorite will always be the first kind I ever tried—Fage (pronounced FA-YAY!). It’s superrrrrrrrr thick and I eat the little 2% yogurts with strawberry every day for a snack around three o’clock. I used to be the type that always steered towards the nonfat yogurt at the store, but I made the switch to 2% about two years ago and have never looked back. It’s just so much better than nonfat…that extra 2% really makes a difference, man. The rest is simple: juicy sweet onions and reduced fat sour cream. 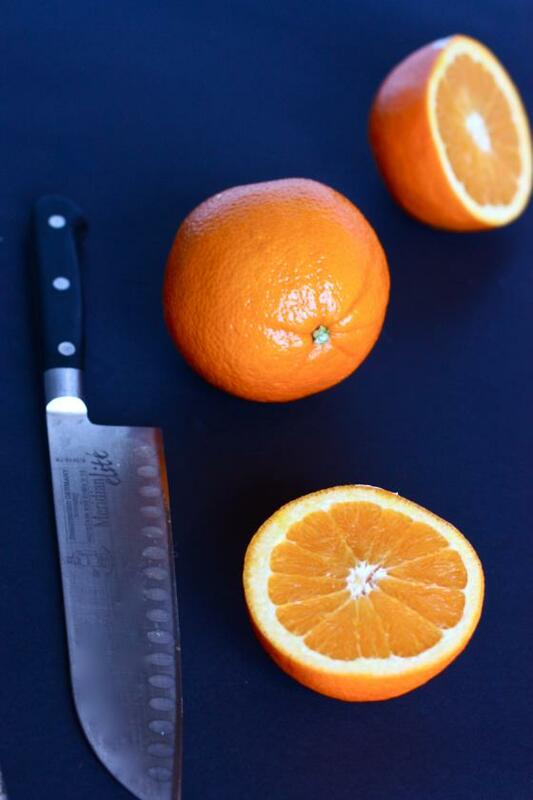 It’s incredibly easy to make and always a hit at whatever party comes your way (football tailgating? yes, please). I like to serve this dip with ruffly chips (love the salt & pepper ruffles from Trader Joe’s) and/or baby carrots. It’d also be great with other raw veggies as part of a veggie + dip platter. Give ranch a break for a change. Your tastebuds (and party guests) will thank you. *who am I kidding? I’d pay hundreds for that old slammer. It was the light of my life. Heat the oil over medium-low heat in a large non-stick pan. Add the onion and saute for about 30 minutes, stirring frequently and adding the water later during the cooking process if and when onions seem a bit dry. You want the onions to be VERY soft and translucent, but not quite to the caramelized stage. Mix together the Greek yogurt and sour cream in a large bowl. Add the cooled onions, the garlic salt and the pepper. 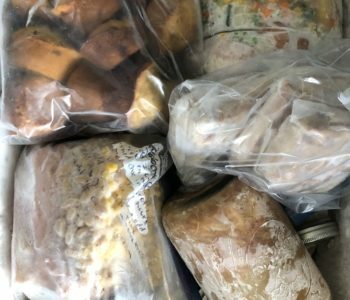 Combine well and place in the fridge for an hour to let the flavors develop. Um, yum. Def trying this!! And I loved pogs!!! AHHHHHHHHH my mind…my heart…my soul. That is not the oreo slammer of my youth. hold me. haha I do this too, but I just dump an onion dip packet into a container of greek yogurt. This sounds delicious! I love dips 🙂 wil. Definitely be trying this soon!! This dip looks great! I bet it’s a real crowd-pleaser. Pinning so I remember for football season! Hahaha! I totally forgot about pogs! I used to love those things! I’ve never met a container of dip or a big bowl of salsa, spread, sauce, chutney or similar that I didn’t love – this looks great! 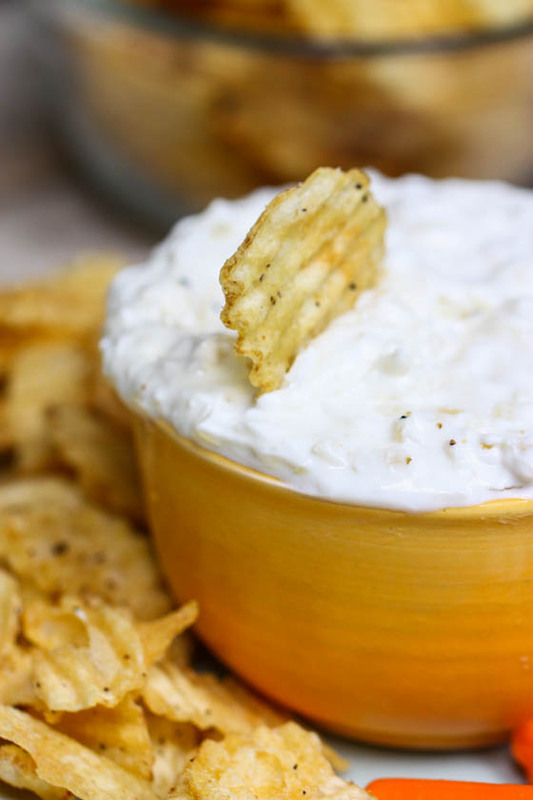 love sour cream and onion dip! and this recipe definitely looks better than the pre-made packets of dip. Hmmm, this makes me want some Ruffled Lays potato chips! I love sour cream and onion anything! It’s one of my favorite flavors. This dip looks a lot healthier then the package kind and better too. Soooo lightened up means I can eat the whole bowl right? Awesome… because I SO WILL and the entire bag of Ruffles too! I LOVED onion chip dip as a kid, too (especially with Ruffles chips or a local brand, Ballreich’s). I was also into pogs & slap bracelets 😉 My favorite slap bracelet was one made to look like a $500 bill. Just remembered I had one of those POG makers! Did you have one? if you love the 2%, you’ve gotta try the full fat version. holy heaven on a spoon! its so thick and creamy and delicious, you only need a few scoops to be satisfied. Love the simplicity of easy swaps. I also put garlic salt on everything and anything including veggies! Great idea Jenna. My husband and I made a batch of chip dip yesterday too! One of my friends just let me in on a secret that she’s been making her chip dip with Greek yogurt and Lawry’s seasoned salt. 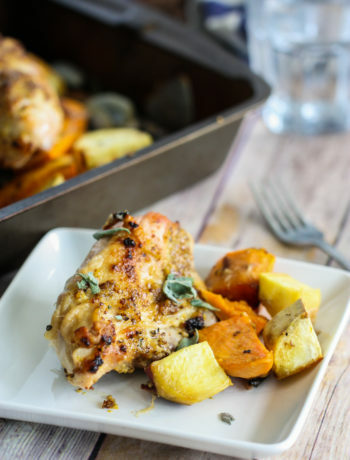 It’s delicious, and I can’t wait to try this variation as well! 100% agreed on the 2% Greek yogurt – it’s so much better! And I’m all over anything Sour Cream and Onion. Aka – I want this at my next event. I love dips and don’t have then nearly enough. You are so right when you say everyone loves dip. I first saw this one on Pinterest. It had my mouth drooling before I even got to the post. 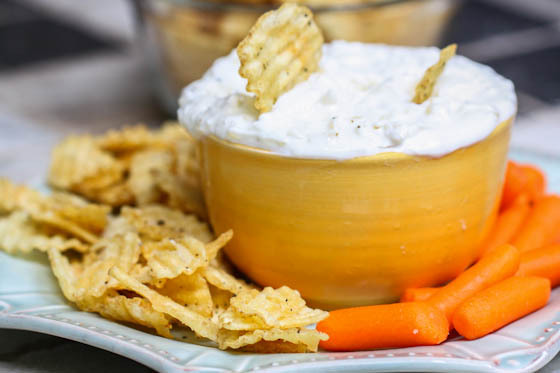 Your introduction to this recipe made me smile – the combination of onion packet + sour cream and washing it all down with Tang perfectly encapsulates ‘90s child snacking! You always have a way of making me crave whatever you post! I’m lucky that all of the ingredients are ones I normally have on hand! I LOVED pogs! And I think I still have them all, somewhere in my parent’s house :-). Wish I had some of those chips and dip in front of me right now. This is going to be perfect for football season!! I loved growing up in the 90s and wouldnt change it for the world, I miss everything you just mentioned! this dip looks great & fage is the only brand of greek yogurt i use. i just haven’t found anything with a better taste or texture! I make lightened up sour cream and onion dip all the time with the 0% Fage and one of the Lipton soup packets! I should probably switch to your version though and avoid all of the crazy processed ingredients that those packets surely have. This looks great! Oh man, I love the 90s! Also love the fact that I’ve been saying “fay-ge” all these years. whoops. Can’t wait to make this!! I just bought a container of reduced fat sour cream by accident (I meant to buy the full fat to use in an ice cream recipe), and I was looking for a good dip recipe! This sounds fabulous! I’m such a sucker for chip dips. 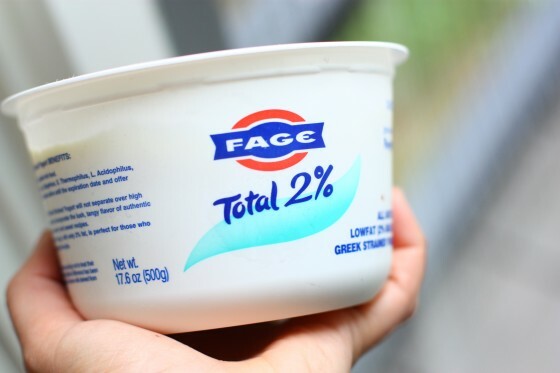 Great idea with the Greek yogurt, and I’ve never heard the name Fage spoken, and always assumed it was “Faaaje” or something. Now I know! But, you’re showing your age. 🙂 You may remember consuming dip made with onion soup mix back in the ’90s, but this is not a ’90s favorite. It’s been around at least since the ’70s (as far back as I can remember) and probably before. I imagine it’s from the ’50s, which seems to be the origin of most quick recipes made with processed ingredients. I’m already obsessed and I haven’t even tried this yet! Ekk! Can’t wait! Ha! 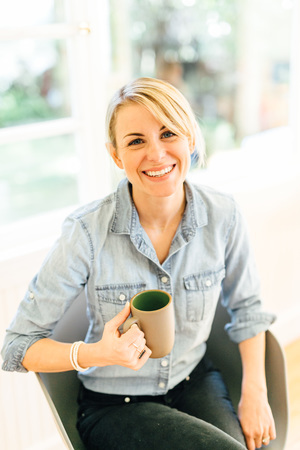 My husband still busts out the Lipton french onion soup mix and full-fat sour cream on special occasions (holidays, Super Bowl, opening ceremonies of Olympics…). Pretty tasty stuff. Oh pogs and slap bracelets.. I miss the 90’s! pongs! seriously, just made me have a flashback.. loved my oreo slammer! great recipe, going to try it on my husband who loves the old school packet & tub dip. Pogs! Blast from the past! Brings me back to the days when I used to house Sour Cream and Onion chips but THIS – this is even better. Love that it has greek yogurt for added healthification. Yes, garlic makes everything better! I may not know what pogs are but I know that I’ll be making this dip soon. Love the yogurt substitution. I love anything with subbed-in greek yoghurt! Try it in potato salad as a sub for half the light mayo – amazing! Thanks for this idea. I’ll be using it post my next half marathon! Sour cream and onion dip is one of my favorite things ever but I never eat it because it’s just loaded with bad stuff. I cannot wait to make this!!!! Fage is definitely my favorite greek yogurt too! Love reading your posts and love the shoes ! This looks really good. Funny but I always use garlic-pepper, didn’t even know it existed in a salt version but will now be on the lookout for that! Ooooh my. I can’t wait to make this. Full confession, I wasn’t able to sleep the other night, so I read this post at 2 am and I very nearly made this dip at 2 am. Yum! I am making this and I have never had a pog. YUM! I’m hosting a cookout this weekend and may just have to make this dip. I’m not going to lie…I was totally going to use the packet with sour cream kind but this looks much, much better! Just made this tonight and it turned out fabulously! Can’t wait to taste it tomorrow when the flavors have melded. I could probably eat a whole bowl of this dip myself, so thank you for lightening it up a bit!! And I also totally agree that 2% Greek yogurt is the way to go… so much better! Not much better than a creamy dip with salty chips! Love how you lightened this up! How do you cook onion for 30 minutes and not carmelize them?